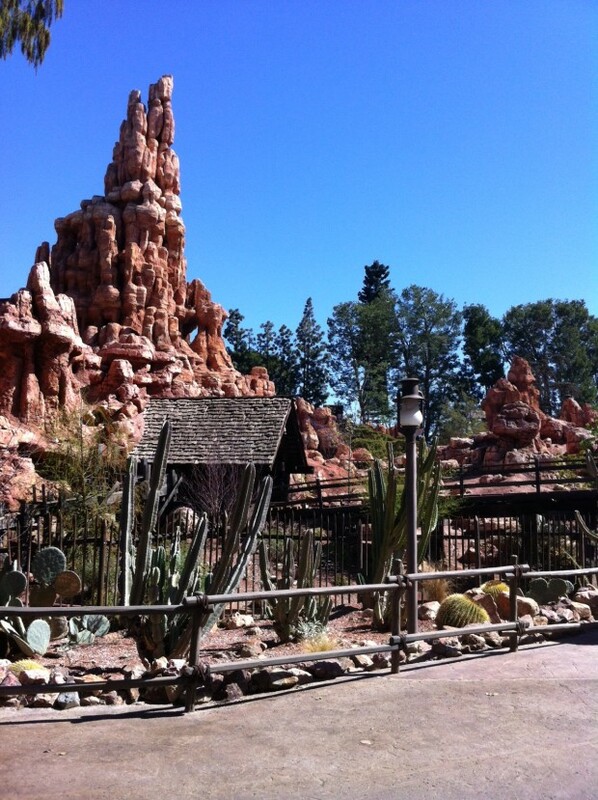 Hang on to them Hats and Glasses, ’cause this here’s the wildest ride in the wilderness! 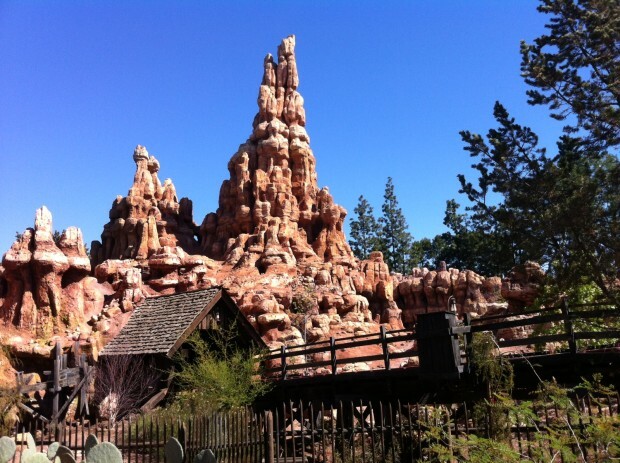 Disneyland’s Big Thunder Mountain railroad has been closed for more than fourteen months for what some called the longest renovation known to man. 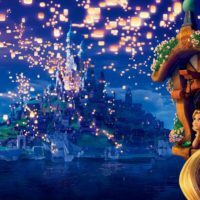 The opening date was recently announced, with previews being offered to Disneyland Cast Members and Annual Pass holders. The goal of the expansion was originally to renovate the tracks and update the structures within the attraction. 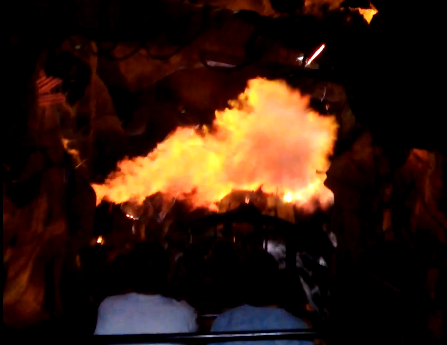 Only recently did the rumors begin to circulate online that the attraction would have new special effects added to it. The images below come from a video taken by MousePlanet during one of the preview events. These new effects create the feeling that the Big Thunder Mountain goat has chewed on the dynamite and caused the entire mine shaft to explode. Using digital mapping technology (the same kind that was installed in Indiana Jones), the boulders threaten the rider more realistically. 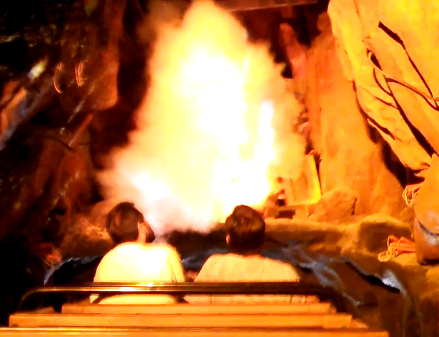 Three huge plumes of smoke blast into the cavern after the dynamite reaches the end of it’s cord. These special effects make waiting the fourteen months well worth it. 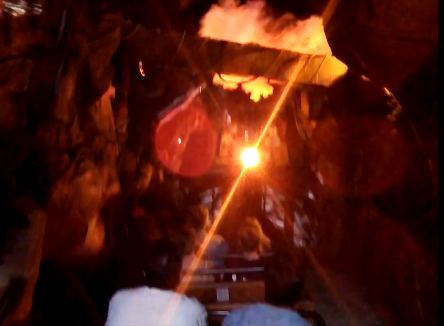 This scene required months of testing and synchronization to allow for these special effects and scene to only execute when a mine train entered the scene. Rumors have circulated for the last couple of months that the reason for the refurbishment delay was because of a new braking system. My guess is that new computer system and brakes were reinstalled to allow for this special scene to be programmed. My only concern is that this may make the attraction less kid-friendly…which is too bad because this is many had their first true roller coaster experience here. The comparison between the old version of the attraction and the new special effects scene is astounding. The tracks have also been replaced for the entire attraction allowing for a smoother experience. The smoother ride makes the train feel faster. 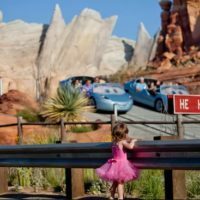 To keep up with Disneyland news and new rumors, sign up for our newsletter. 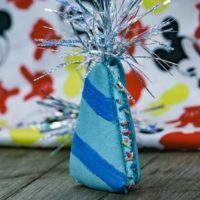 Previous Post: Disneyland Central Gold Spike: Fact or Fiction?